The church can trace its history back for over 300 years, to 1662, when the church came into being as an off-shoot from the Baptist Church at Southwick which had been formed some 7 years earlier. The first Pastor, Roger Cator, was fined on several occasions for preaching to unlawful gatherings. The persecution continued until the passing of the Toleration Act in 1689. Then the fellowship moved to an old building at Clay Close Farm, Dilton Marsh. When this old building fell into disrepair, the Church began meeting in an old barn which stood on part of the site at Westbury Leigh where the old church building now stands, and in 1714 this barn was converted into a chapel, fitted with seats and a gallery. In 1796 due to the large size of the fellowship the building was rebuilt.This was used as the main place of worship until its sale in 2014. 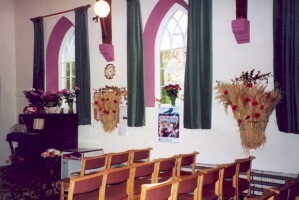 In 1826 worship service began in a house at Stormore to cater for the needs of people living in the Stormore area, especially "the very young, and the aged and infirm" who found it difficult to walk to Westbury Leigh for the services which were morning , evening and as well as afternoon bible school. . In 1828 the meetings moved to a loft over a carpenter's shop belonging to a local lay preacher and carpenter, Mr. Samuel Scott. In 1839 a little chapel was built, which became known as "Scott's Meeting". 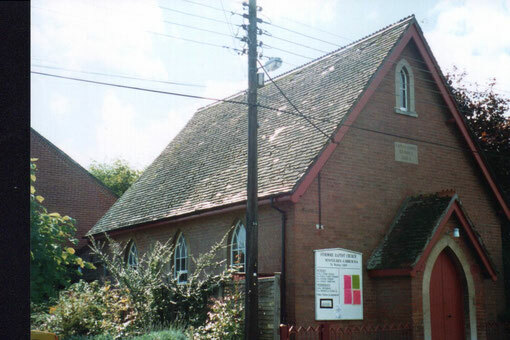 This old building was replaced by the present Stormore Chapel in 1884. It is now the home of the combined fellowship with services each Sunday morning. Baptism of believers by immersion as a witness to their faith in Jesus as Saviour and Lord, has of course always been an important part of Baptist church life. Baptisms used to take place in the open air, in the stream at Black Dog Woods, near to the chapel at Stormore. After prayer in the Stormore chapel, the new believers with their friends would walk in procession down to the stream to be baptised.